Grout ties are fixed into masonry walls with a high strength polymer modified grout. The deep trough of the helix provides an excellent key between the stainless steel reinforcing rod and the cement based grout. Grout Ties are helical bars that are bonded into masonry. 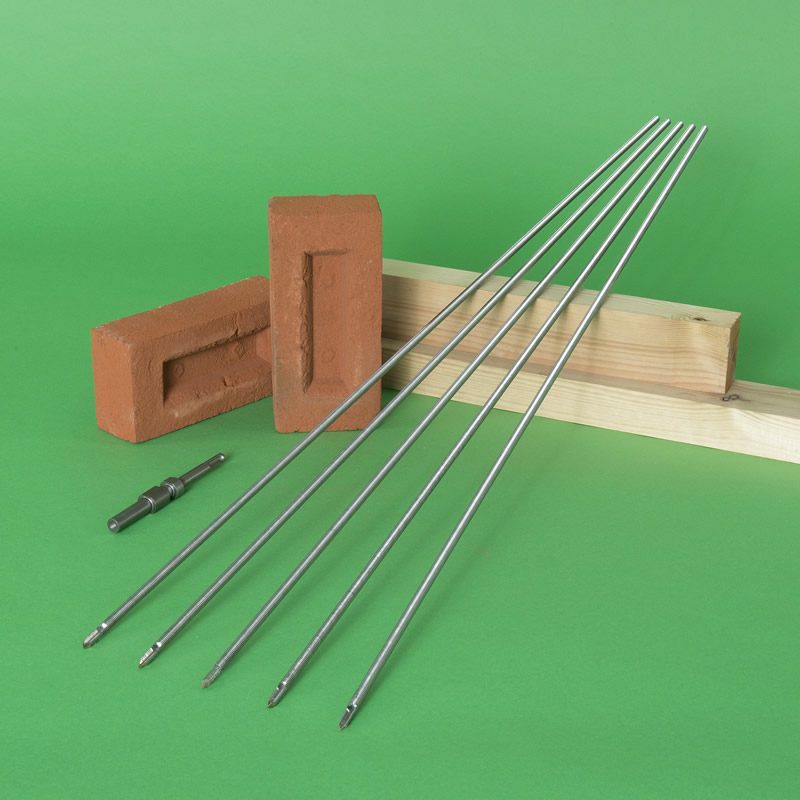 The strength of separating masonry layers can be restored by using the ties, fully grouted into deeply drilled bore holes. 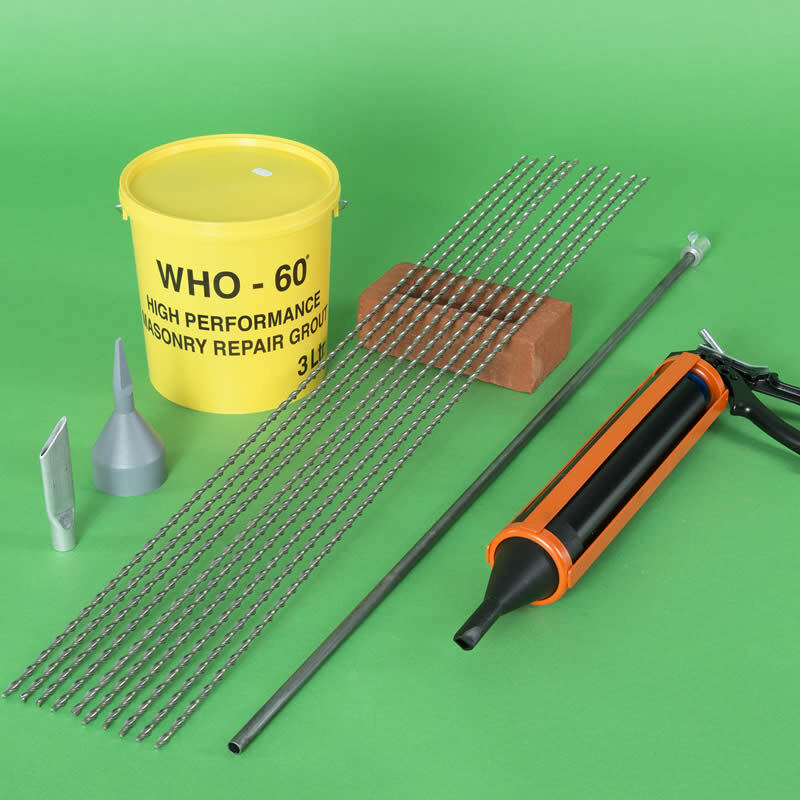 Grout ties are used to reinforce thick or rubble filled walls, reconnect external walls with internal partitions, stabilise parapets and pin masonry arch layers in buildings, bridges and tunnels. 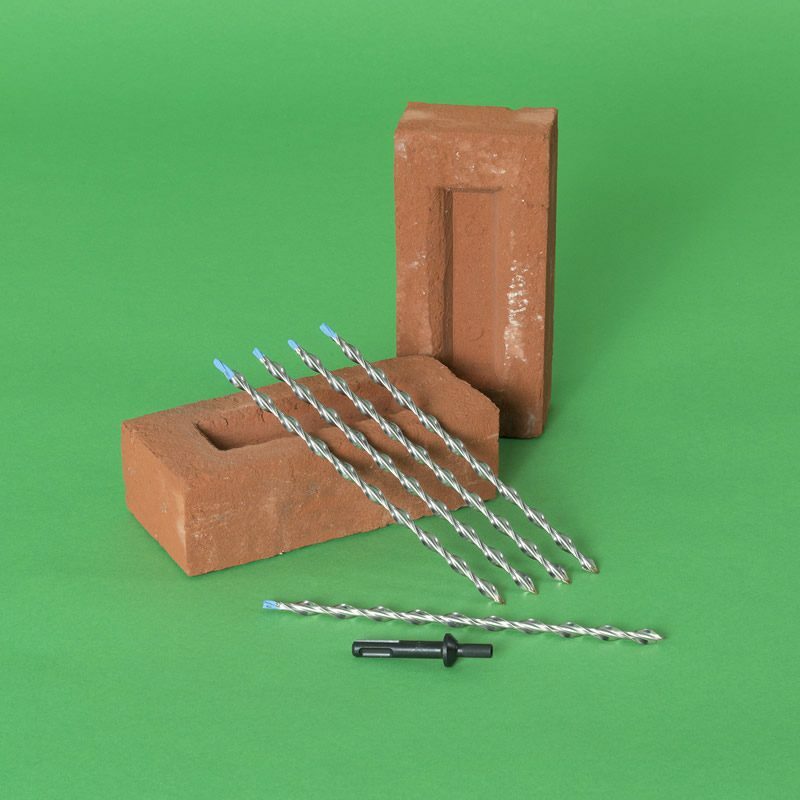 To install the ties 14-18mm diameter clearance holes are drilled into the masonry to a depth that is at least 25mm longer than the tie. Holes are thoroughly washed out with clean water. 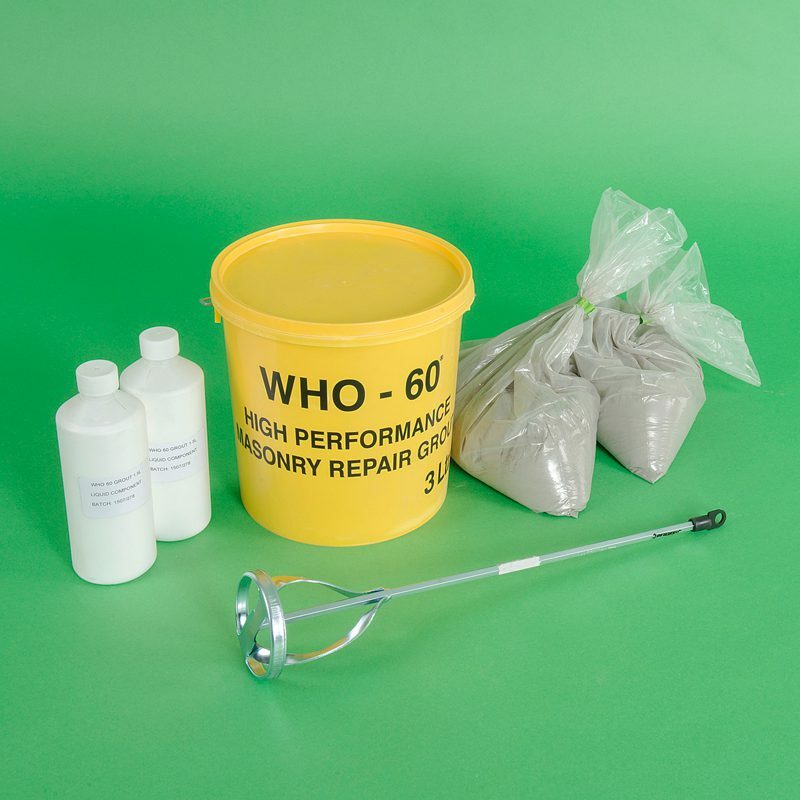 WHO-60 polymer modified grout is pumped to each hole, filling the bore and any voids. Stainless steel helical tie bars are wound into the unset grout, displacing it tightly into voids. 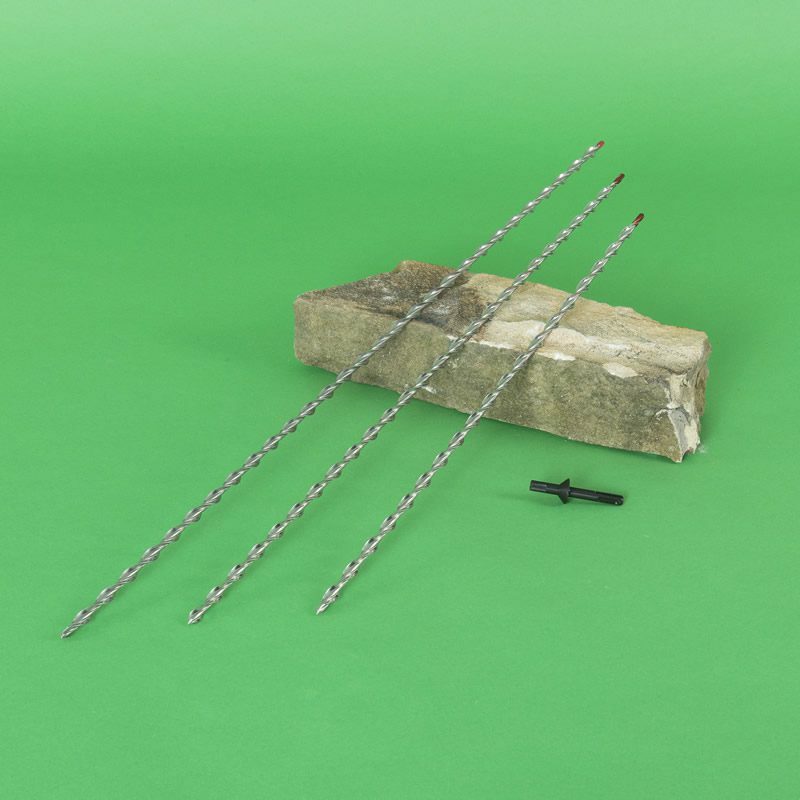 Once set, the high strength grout interlocks with the peaks and troughs of the helix to bond the grout ties to the masonry. Thor Helical do not recommend installation procedures that involve inserting the tie into the pinning nozzle and grout expelling the tie/grout composite in a single operation. This technique is flawed and may lead to inadequate bonding to the masonry. Grout ties are supplied loose, ready for resale packaging, on pallets containing 480 ties.